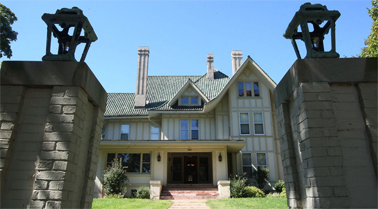 Owned by the family for 40 years, the former Staley Mansion is back in the family’s hands and begins a new chapter next weekend as the Staley Museum. The focus is A.E. Staley Sr., his company and his legacy, personal and professional. Julie Staley, president of the museum board and wife of Mark Staley, the treasurer, said they’ve seen the value of preserving family history from the community response to the Hieronymus Mueller Museum, opened 20 years ago and relocated in 2005 to 420 W. Eldorado St.
“When the opportunity came to purchase the Staley Mansion just a block away, we thought it would be the perfect setting to bring the story of A.E. Staley to life,” she said.